The home page of your site is the main index page (aka. "index") and is considered the general introductory page for your site. 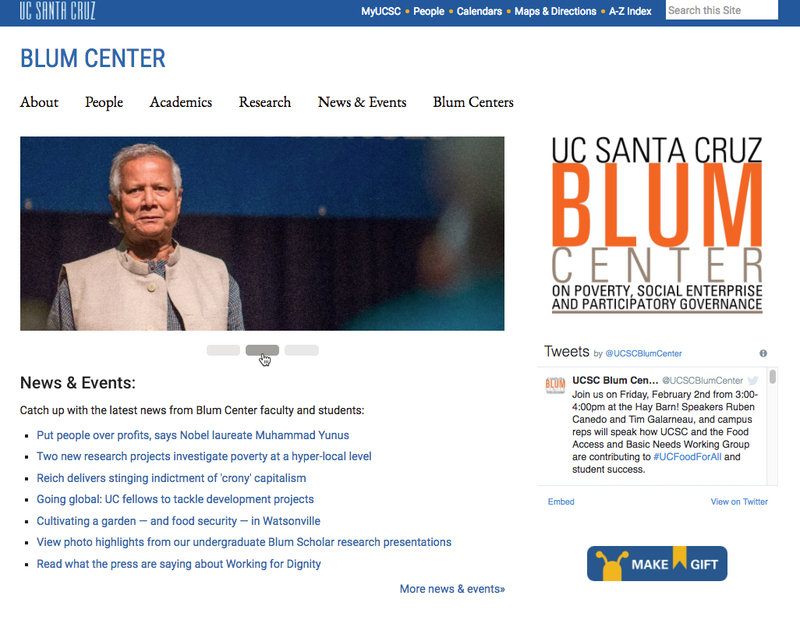 This page is provided when each site is set up in the Campus WCMS. 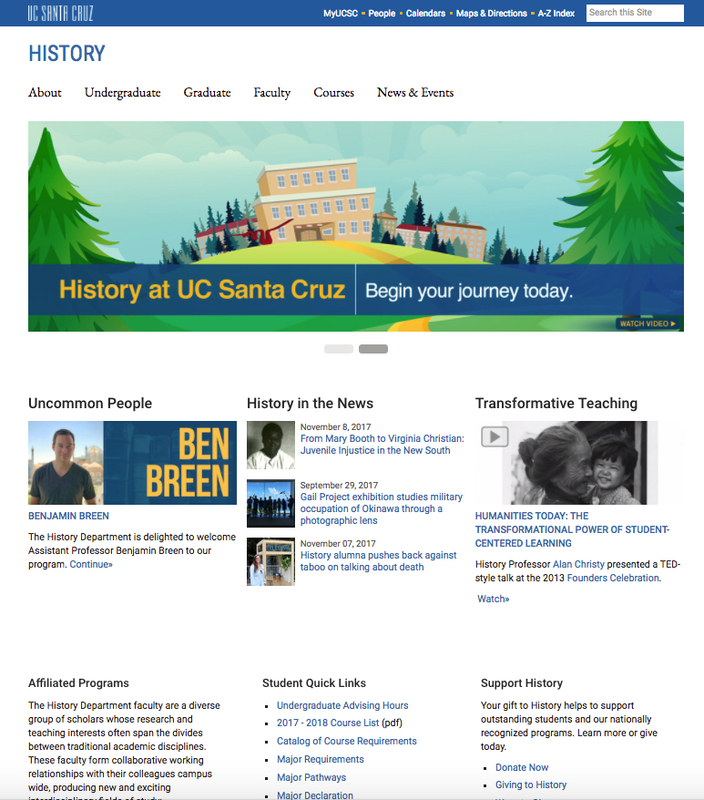 There are two different homepage designs to choose from. There are several editable sections of the Home Page with middle row and bottom row blocks. Making changes and updates vary for each. Images are added by editing the Home Page. A rotating billboard is also a selection option. These blocks have a number of options available and are updated independently. If desired, they can be rearranged by editing the Home Page. These text blocks are updated independently. Information about editing this page type is found here.